ALL vendors selling an item must send completed Vendor application and City Vendor License application to, Jacksonville Chamber of Commerce, 526 E. Commerce, Jacksonville, TX 75766. Deadline to submit an application is May 17, 2019. 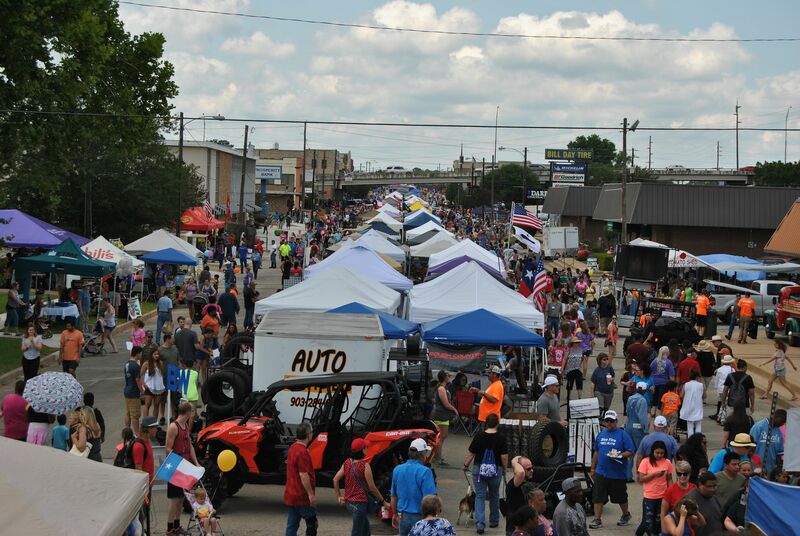 35th Annual Tomato Fest set for Saturday, June 8, 2019. 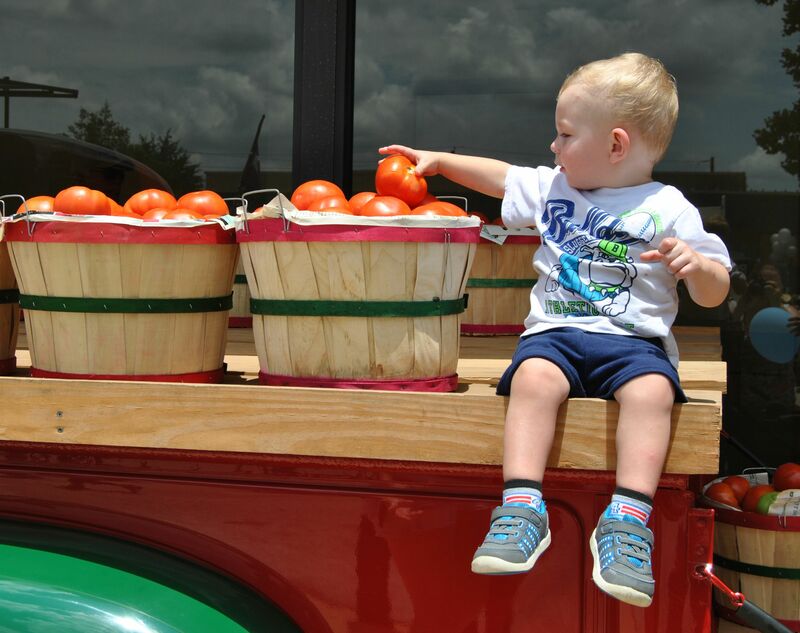 For one week in June, Jacksonville becomes "Tomatoville"! June 3 & 4, 6 pm - Family First Clinic & Urgent Care - 5th Annual Dodgeball Tournament - John Alexander Gym - Contact Katie Royon, Family First Clinic & Urgent Care 903-284-6105. June 5th - NEW Event - Chopped - Kiepersol Salt Room - Doors open at 5:30 pm, Chopped begins at 6:00 pm. Two teams, JISD/City of Jacksonville, Contestants will prepare 2 appetizers with ingredients supplied by Super Gallo Mercado. Awards: Judge's Choice, People's Choice, Best Presentation. Reservations required. June 8th - 9 am - 4 pm - 35th Annual Tomato Fest - Commerce Street, Downtown Jacksonville, Texas - Five blocks of Vendors, Food, Farmer's Market, Fried Green Tomatoes, Tomato Eating Contest (celebrity and kids), Tomato Peeling Contest (peel a tomato with your teeth), Tomato Packing Contest, Salsa Contest, Best Homegrown Contest, Live Entertainment, Talent Show, Car Show, Motorcycle Show, Soccer Tournament, Tennis Tournament, History Display, Top Tomato Poster Contest, sponsored by Dairy Queen (Hwy 69 South), and much more. June 8th - 7 pm - Chili's Grill & Bar 14th Annual Street Dance - featuring Ina & the Warm Bodies and Tyler Dudley Band. The most popular event of Tomato Fest is the fresh tomatoes! People will drive hours just to get Jacksonville tomatoes. The Tomato Eating Contest is a highlight, as we have our local celebrities fight to be the champion tomato eater. Food Network – Glutton for Punishment (Bob Blumer) wanted to break 6 world records – 1 being a bowl of salsa and selected several towns that held a Tomato Festival. Jacksonville was awarded the location to break 1 of his 6 records. This took place during the June 2010 Tomato Fest on the steps of the famous Tomato Bowl (football stadium). It was great – we had volunteers, tons of visitors AND in ONE day we made 2,672 lbs. of salsa. Jacksonville is now recorded in the Guinness World Record as making the Largest Bowl of Salsa. To date, we still hold the Guinness World record. Half of the bowl is proudly displayed on a large entrance sign as you enter town – stating Jacksonville is home of the World’s Largest Bowl of Salsa. For information contact Kim Smith, coordinator@jacksonvilletexas.com or call 903-586-2217.